Many people, even those who are currently renting out inflatable jumpers, are constantly trying to find a new group of people to rent their jumpers. They are getting the birthday and wedding crowds, but they want to diversify, which is always a good idea. What type of people would rent inflatable jumpers and inflatable slides that aren’t already renting them? How about charity events? The sole purpose of charity events is to raise money, and the event chair people often go to great lengths to make their guests happy so that they can get the most money possible. One great way to do that is to have something that the children can enjoy and something that the adults can enjoy. Inflatable jumpers are perfect for children to have fun on at a charity event, and even adults can enjoy an inflatable slide. When you’re dealing with charity crowds, you may have to lower your rates slightly, as charity coordinators are always looking to spend the least amount that they can. But the benefits come when you realize how many people will learn about your services thanks to being at the charity event, giving you a great amount of potential clients in one quick event. When you’re shopping on the Internet for the best in bounce house rentals and inflatable slides, narrowing down the field always leads to junglejumps.com. Here’s the company that’ s got all the best products and accessories. Their customer service department is second to none and filling orders for combos that include slides and castles is all part of their work . Only the best material in all their products. Top quality 18.5 oz vinyl goes into all the bounce houses and inflatable slides that are manufactured by junglejumps.com. When you’re looking for the best in inflatable slides or bounce houses the choice is clear. There’s no need to look any further for all of your bounce house and inflatable slides needs. Everything that you could want is right here at junglejumps.com. Here’s the place where you can come if you’re in the business of Bounce Houses and Bounce House Accessories or any variations of the many inflatable bouncers or inflatable slides on the market today. This is the place where you’ll find the best in a complete inventory of all the best bounce houses ranging from the jungle monkey house to the dream castle to regular sports arena and a whole variety to choose from in between. 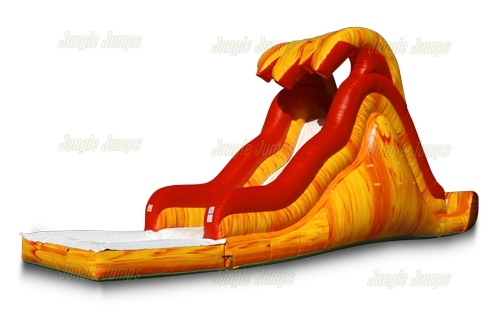 Products like inflatable slides that are double and quadrupled stitched for durability. 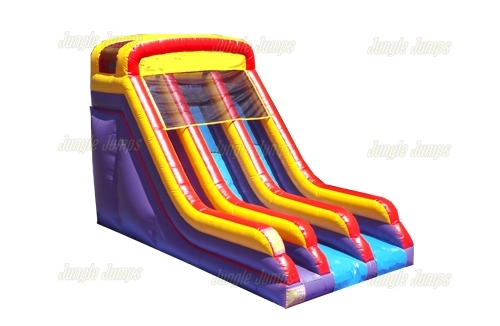 Whether you’re a business looking to wholesale inflatable slides or bounce houses or a group that needs to purchase some of these yourself, look to junglejumps.com for the best products in the industry.